So far Cally Fries has created 68 blog entries. This is the 15th episode of “FC Underground, 2014-15,” covering the fourth day of homecoming week, Oct. 30, 2014. 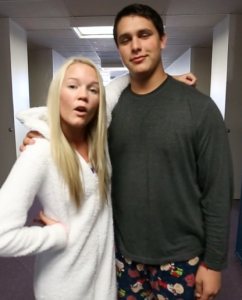 This is the 15th episode of “FC Underground, 2014-15,” covering the fourth day of homecoming week, Oct. 30, 2014. 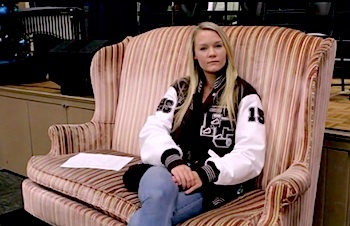 Senior Callista Fries is a third year host and broadcasts the video news alone. FC Underground is a weekly segment hosted by Fries, filmed and produced by junior videographer Tim Nyberg. Thursday there is Teriyaki Don available for lunch. The dress up day for Thurs. Oct. 30 is Think Alike Thursday. The King Pageant is on Thurs. Oct. 30 at 9:30 a.m.
On Thurs. Oct. 30 there is a Volleyball game at home, starting at 5:30, it is also Senior Night. The dress up day for Fri. Oct. 31 is Fly Together Friday, so show as much school spirit as you can. On Fri. Oct. 31 is Homecoming the game starts at 7 p.m. 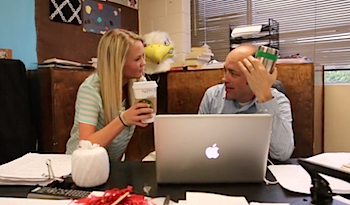 This is the 14th episode of “FC Underground, 2014-15,” covering the third day of homecoming week, Oct. 29, 2014. 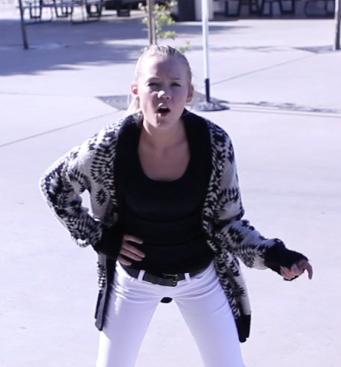 This is the 14th episode of “FC Underground, 2014-15,” covering the third day of homecoming week, Oct. 29, 2014. Senior Callista Fries is a third year host and broadcasts the video news alone. FC Underground is a weekly segment hosted by Fries, filmed and produced by junior videographer Tim Nyberg. Wednesday there is no lunch available. The dress up day for Wed. Oct. 29 is Wake up Wednesday. The Queen Pageant is on Wed. Oct. 29 at 2:30 p.m. The dress up day for Thurs. Oct. 30 is Think Alike Thursday, so dress like a twin. This is the 13th episode of “FC Underground, 2014-15,” covering the second day of homecoming week, Oct. 28, 2014. 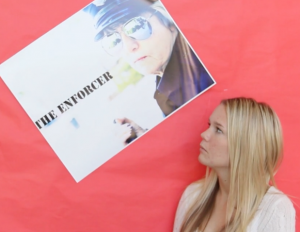 This is the 13th episode of “FC Underground, 2014-15,” covering the second day of homecoming week, Oct. 28, 2014. 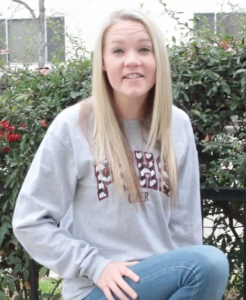 Senior Callista Fries is a third year host and broadcasts the video news alone. FC Underground is a weekly segment hosted by Fries, filmed and produced by junior videographer Tim Nyberg. Tuesday there is No lunch available. Tuesday there is a Volleyball game at Fowler, JV starts at 5 and Varsity at 6. The Princess Pageant will be held the 28th at 9:30 a.m. The dress up day for Wed. Oct. 29 is Wake up Wednesday. Feel free to wear any PJ’s you own, however you must be in dress code, no athletic shorts, and no sweats. 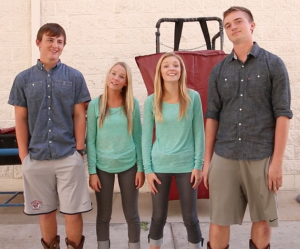 This is the 12th episode of “FC Underground, 2014-15,” covering the first day of homecoming week, Oct. 27, 2014. This is the 12th episode of “FC Underground, 2014-15,” covering the first day of homecoming week, Oct. 27, 2014. Senior Callista Fries is a third year host and broadcasts the video news alone. FC Underground is a weekly segment hosted by Fries, filmed and produced by junior videographer Tim Nyberg. Monday there is No lunch available. 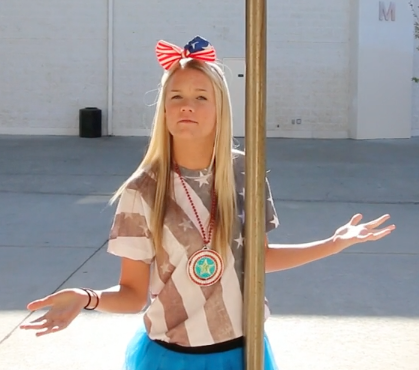 The dress up day for Oct. 27 is ‘Merica Monday. The sixth annual Max Hinton Blood Drive on Mon. Oct. 27, from 1-4 p.m. in the HS parking lot. Dress up day for Tuesday is Tacky Tourist. 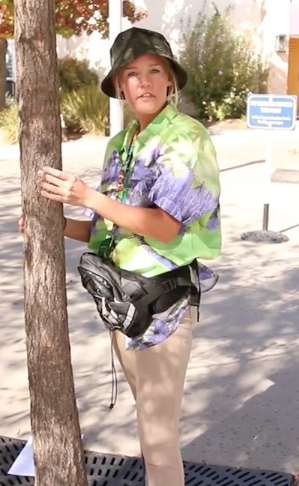 One easy way to create a costume might be to go to a thrift shop and browse through their clothes section. It is amazing what a person can buy for $2. This is the 11th episode of “FC Underground, 2014-15,” covering the week of Oct. 20-24, 2014. Senior Callista Fries is a third year host and broadcasts the video news alone. FC Underground is a weekly segment hosted by Fries, filmed and produced by junior videographer Tim Nyberg. Volleyball has a home game, JV plays at 5 and Varsity at 6. Volleyball has another home game, JV starts at 4:30 and Varsity at 5:30. Cross Country has a meet at Woodward starting an noon. Football has a game at Riverdale Christian starting at 7. Book Buddies will travel to Pinedale elementary on Thurs. This is the 10th episode of “FC Underground, 2014-15,” covering the week of Oct. 13-17, 2014. Senior Callista Fries is a third year host and broadcasts the video news alone. FC Underground is a weekly segment hosted by Fries, filmed and produced by junior videographer Tim Nyberg. Tennis has a game at home starting at 4 p.m.
Tennis has another home game as well as Volleyball, tennis begins at 4 and for volleyball JV starts at 5 and Varsity starts at 6. Volleyball has a home game, JV starts at 4:30 and Varsity at 5:30. Football has a game at Faith Christian starting at 7 p.m. The PSAT will be offered Wed. Oct. 15, starting at 8 a.m. in the PC gym. There is a CSF meeting on Wed. at lunch in room 626. This Thurs. the Choral Department has a festival at North Side church starting at 11:30-5 p.m. 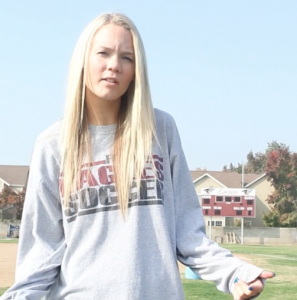 This is the 9th episode of “FC Underground, 2014-15,” covering the week of Oct. 6-10, 2014. Senior Callista Fries is a third year host and broadcasts the video news alone. FC Underground is a weekly segment hosted by Fries, filmed and produced by junior videographer Tim Nyberg. Volleyball has an away game. Volleyball is at home and Tennis is at home as well. Football has a home game, starting at 7. Tuesday Oct. 7, there is Brother to Brother training for the older brothers at lunch in room 629. Brother to brother has off campus lunch on Wed. Oct. 8, sign out in the office. This is the 8th episode of “FC Underground, 2014-15,” covering the week of Sept. 29-Oct. 3, 2014. Senior Callista Fries is a third year host and broadcasts the video news alone. FC Underground is a weekly segment hosted by Fries, filmed and produced by junior videographer Tim Nyberg. Monday, Sept. 29 is College Night; it is in the JJ room, starting at 7 p.m.
Grandparents Day is this Fri. Oct. 3, grandparents should arrive at 9:30 and will receive a class schedule for their grandchild. Students interested in Book Buddies need to turn in their applications as soon as possible to the HS office. This is the 7th episode of “FC Underground, 2014-15,” covering the week of Sept. 22-26, 2014. Senior Callista Fries is a third year host and broadcasts the video news alone. FC Underground is a weekly segment hosted by Fries, filmed and produced by junior videographer Tim Nyberg. Tuesday, Sept. 23 Tennis has a match at Colinga staring at 4. Also on Tues. there is a Volleyball game at home, JV starts at 5 and Varsity at 6. Cross Country also has a meet at Firebaugh starting at 2. Thursday, Sept. 25, Tennis has a match in Caruthers starting at 4. Volleyball has a game at Tranquility, JV starts at 5 and Varsity at 6. Friday, Sept. 26, Football has a game in Mojave, starting at 7p.m. See You At The Pole is Wed. Sept. 24, at 7 a.m. in the court yard. This is the 6th episode of “FC Underground, 2014-15,” covering the week of Sept. 15-19, 2014. Senior Callista Fries is a third year host and broadcasts the video news alone. FC Underground is a weekly segment hosted by Fries, filmed and produced by junior videographer Tim Nyberg. Tuesday, Sept. 16 there is a HS Tennis match at Riverdale starting at 2p.m. Also there is a home Volleyball JV starts at 4:30 and Varsity starts at 5:30 p.m.
Thursday Sept. 18 there is a Tennis match at Firebaugh starting at 4 p.m.
Friday, Sept. 19 there is a HS Cross Country meet at Sanger Invitational starting at 2:30 p.m.
Saturday Sept. 20, there is a Football game in Monterey starting at 1 p.m. This Fri. Spet. 19 is the deadline to sign up for Book Buddies in the HS office. This is the 5th episode of “FC Underground, 2014-15,” covering the week of Sept. 8-12, 2014. Senior Callista Fries is a third year host and broadcasts the video news alone. FC Underground is a weekly segment hosted by Fries, filmed and produced by junior videographer Tim Nyberg. On Tues. Sept. 9th there is the first Spanish Club meeting of the year! Bring your lunch to room 603 and do not be late. If you missed Picture Day there will be a retake on Sept. 11 at 8 a.m. in the GZ cafe. On Tues. Sept. 9 there is a home Volleyball game in the FC gym JV starts at 5 and Varsity starts at 6. Also on Tues. there is a Tennis match in Dos Palos starting at 4 p.m.
On Thurs. Sept. 11 there is a Volleyball game at Stoneridge HS JV at 5 and Varsity at 6. Tennis has a match at Fowler starting at 4. Friday Sept. 12 there is a Varsity home Football game starting at 7 p.m. 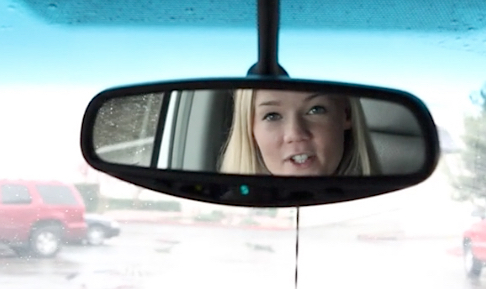 This is the 4th episode of “FC Underground, 2014-15,” covering the week of Sept. 2-5, 2014. Senior Callista Fries is a third year host and broadcasts the video news alone. FC Underground is a weekly segment hosted by Fries, filmed and produced by junior videographer Tim Nyberg. Wed. Sept. 3 is off campus for Sister to sister. Tennis: Has a home games on Tues. Sept. 3 and Thurs. Sept. 4 starting at 4 p.m.
Volleyball: Has a game on Tues. Sept. 3 at Mclane starting at 6 and a game on Thurs. at Delano also starting at 6 p.m.
Football: Home game on Fri. Sept. 5, starting at 7 p.m. This is the 3rd episode of “FC Underground, 2014-15,” covering the week of Aug. 25-29, 2014. Senior Callista Fries is a third year host and broadcasts the video news alone. FC Underground is a weekly segment hosted by Fries, filmed and produced by junior videographer Tim Nyberg. Sister to Sister and Brother to brother have a meeting on Tuesday Aug, 26 at lunch, boys in 629 and girls in 628. CSF applications are due on Tues. Aug, 26, with a $5 deposit. Tues, Aug. 26 there is a Volleyball game at home, JV at 5 and Varsity at 6. Also there is a girls Tennis match starting at 3:30. Thur, Aug. 28, volleyball has a game JV at 5, varsity at 6, tennis is at 3:30 p.m..
Fri, Aug. 29 the HS Football game starting at 7 p.m. This is the 2nd episode of “FC Underground, 2014-15,” covering the week of Aug. 18-22, 2014. Senior Callista Fries is a third year host and broadcasts the video news alone. FC Underground is a weekly segment hosted by Fries, filmed and produced by junior videographer Tim Nyberg. On Tues. Aug. 19 there is a home Volleyball game, JV plays at 5 and varsity starts at 6 p.m.
Students who are interested in joining CSF (California Scholarship Federation) this semester, please stop by the high school office to pick up the membership application. Please turn the form, attached to your most current high school transcript, into Michelle Warkentin’s box before 3 p.m. on Aug. 26. This is a firm deadline and forms will not be accepted after this date. Any juniors or seniors interested in being a mentor to a junior higher, girls please talk to Hallie Rojeski about joining Sister to sister, and boys speak to Terry Richards about joining Brother to brother. There is a HS Football scrimmage on Aug. 23, starting at 1 p.m. at Coalinga. “FC Underground” first ran in the fall of 1997 and continued until the spring of 2001. In the fall of 2009, editor-in-chief Suzanna Quiring , ’10, resumed the series, which was then produced by Paige Powell, ’10. After Quiring and Powell graduated, Brooke Stobbe and David Casuga took up the job until the end the 2011-’12 school year. Now, Fries and usually senior Tim Nyberg have continued the segments. This is the 1st episode of “FC Underground, 2014-15” covering the week of Aug 11-15, 2014. Senior Callista Fries is a third year host and broadcasts the video news alone. DAY 4 in San Diego began with sessions from 9 a.m. – 1 p.m. Each staffer attended and took notes to bring back to the staff to share after spring break. The morning was rushed as over 4,000 journalism students from across the country crowded the hallways and floors of the Hilton Bayfront Hotel and Convention Center. After Feather adviser Greg Stobbe and editors Tynin Fries and Viviana Hinojosa’s session on “Thriving in Cyber Space,” the team ate lunch and headed back to Fresno. While they could not stay for the awards presentation, The Feather Online was awarded Third Place for Publication Website Small School category. Online Pacemaker and Best of Show in San Francisco. For the first full day of the National Scholastic Press Association (NSPA) and Journalism Education Association (JEA) spring conference, The Feather staff attended many informational classes about the importance of learning different journalistic techniques, April 11. The Feather staff had the choice of attending seminars which were hosted by award winning and nationally recognized professionals from different fields. Senior Editor Viviana Hinojosa and Tynin Fries, Editor-in-Chief had the opportunity to chat with a renowned visual artist, Geoff McGhee through a web series in the morning. Later, the duo also attended an exclusive lunch with the President of the JEA, Mark Newton, alongside six other student from around the country. Over 4,000 journalism students from across the country were able to interact with seasoned professionals, followed by question and answer sessions which were held after each seminar. During the students free time apart from the conference they experience the vintage culture of Old San Diego. The group toured the local attractions and visited authentic shops and businesses. Old San Diego attempts to capture the feel of a real life western town, based on San Diego of the 1800s. The pageantry of the settlement extends from its products to its employees where employees dress in old clothing and speak in ornate accents. A trip to San Diego would not be complete without a seafood meal. The staff dined at Joe’s Crab Shack and enjoyed gourmet seafood together for dinner. The shack was shaking intermittently during the meal, as the staff entertained the customers through dance. Sophomore Rees Roggenstein loved seeing the culture and trying old-fashioned products like sodas. The editors Tynin Fries and Viviana Hinojosa prepare to teach their afternoon class, “Thriving in Cyberspace” which will educate journalists on how to manage their staff, April 12. This author can be reached via Twitter: @callyfries4. Follow The Feather via Twitter: @thefeather. For more news, read the April 10 article, Coast coverage: Day 2. This is the 30th episode of “FC Underground, 2013-14” covering the day of Mar. 19, 2013. Junior Callista Fries is a second year host and broadcasts the video news alone. FC Underground is a weekly segment hosted by Fries, filmed and produced by Senior videographer Jared Franz. This week, 22 of the Feather staff will be in New York for the Columbia Scholastic Press Association Journalism conference, there will be an announcement video and a recap article and video everyday. The Debate Team meets every Wed. during 4th period, only for grades 7-11. Wed. is a Half day. Baseball has a last minute home game scheduled for today starting at 4 p.m. This is the 28th episode of “FC Underground, 2013-14” covering the day of Mar. 18, 2013. 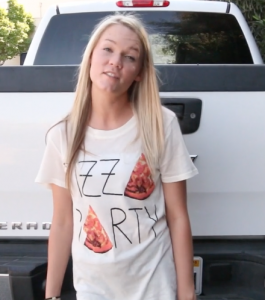 Junior Callista Fries is a second year host and broadcasts the video news alone. FC Underground is a weekly segment hosted by Fries, filmed and produced by Senior videographer Jared Franz. Lunch on Tues. is Taco Bell. HS Softball has a game at Tranquility at 3:30. Golf has a match against Kingsburg at Riverside starting at 3:30. At home at 3:30 there is a Tennis match. This is the 28th episode of “FC Underground, 2013-14” covering the day of Mar. 17, 2013. 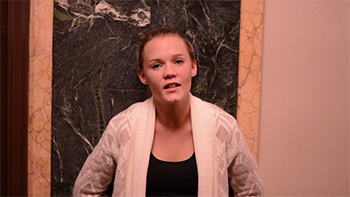 Junior Callista Fries is a second year host and broadcasts the video news alone. FC Underground is a weekly segment hosted by Fries, filmed and produced by Senior videographer Jared Franz. There is no lunch scheduled for Mon. Mar. 17. Brother to brother has older brother training on Mon. at lunch in room 629. The first day of the 4th quarter starts Mon. Mar. 17, all grades of athletes will be checked, anyone with a GPA lower than a 2.0 will be suspended from their sports team. There is a plethora of health concerns and issues when it comes to the well being of Americans today. Cancer, heart disease and pneumonia are fatal diseases that reach thousands of people. Many overlook disease and disregard their personal health. How one may take care of themselves and their diet can determine many things. Due to these components, the most common and high risk disease Americans are faced with today is obesity. Obesity is the elephant in the room; everyone can see and identify it, but no one is willing to address the individuals or the pressing issue obesity presents. Obesity is the top cause of disease and death in the U.S. John Mowatt writes about tempting additions to food; sugar. We are all becoming prisoners to our own cravings, And what has become one of the greatest cravings of all is our desire for sugar. Candy, carbonated drinks, sweet rolls and preserved food items tend to appeal and temp most because of their enticing appearance and flavorful tastes. Eating habits of todays youth is quickly becoming compromised because of the availability of fast food and prepackaged items. Quick and easy is usually the answer, but because of this, teens, children and young adults are putting their health and lives at risk. Students lack the understanding and knowledge of the problems that sugar may cause and the effects it has on the human body. According to Wikipediahttp://en.wikipedia.org/wiki/Sugar sugar gets its name from a substance found in many natural foods. Personal trainer, and new Physical Education teacher Ericlee Gilmore beleives sugar is a poison to our bodies. “Anytime we have consumed a considerable amount of sugar, there are a stream of bad things that happen to your body, one of those things is cancer,” Gilmore said. “Sugar used to only be found in candy but now it is in everything, making people more at risk to having cancer. Ways students can take care of their bodies is by making healthy choices and also by exercising more. “Glucose is one of the sugars that are found in our blood.” When we eat foods such as pasta or bread, the sugars and starch from the food is digested and broken down into simple sugars. Glucose is needed for our bodies to function, but it is when we overdose our intake of sugar filled foods, that is when our health is put in jeopardy. Sucrose and high fructose corn syrup, both of these sugars, are fairly similar in their functions, and in what they contribute to our bodies. The ingredients that make up sugar, fructose and sucrose contain harmful chemicals that can damage your body, according to lifehacker.com. The more sugar that our bodies take in, the more we crave it. The cravings we have for sugar are not natural reactions. Our bodies also crave carbs; carbs are broken down into simple sugars. School secretary Vicky Belmont explains the functions and sugar. Our obsession for sugar is becoming an issue. It has become an imminent addiction that many people are dealing with, but yet we ourselves do not do anything to fight it off. As teens high calorie foods and drinks that are drowned in sugar are necessary for a ?satisfying? snack or meal. It has become almost as necessary as sleeping. Soda is one of the leading causes of teen obesity. It is the favored beverage of many teens. It is high in sugar and high in calories. There is absolutely no nutritional value to soda. It is water mixed with syrup and the darker it is the more unhealthy. 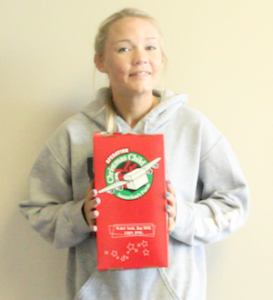 Junior Ashley Garcia sees the danger of intaking too much sugar but decides to somewhat overlook the consequences. Teenage girls are far more at risk to being overweight than their male counterparts. Their bodies finish developing around the age of 18 to 19, bodies expand and they are more easily affected by foods than boys are. Vicki Belmont and believes students should stay away from the more processed foods. The average intake of sugar for adolescent males was 143 grams per day, which is a much bigger amount of total carbohydrates needed for the body. Sugar is a necessary aliment for the human body. Consuming sugar at moderation is okay and also very much needed for our bodies. Our bodies need sugar for the energy it contains. Carbs have been made out to be a total enemy for our bodies but it is what is put into the carbs that makes it our enemy. We need to be active to allow those fats and sugars to be digested and processed properly. Doing activities such as biking, running and jogging allows students bodies to combat diseases. It boosts their mood, self-esteem and gives them energy that they can not find in foods. Making a straight cut, and totally kicking sugar out your diet is not easy, so instead of straight eliminating, it is easier to make a transition to fruits and plants. Fruits contain sugar, but also contain fiber, which is more easily digestible, and allows the digestive system to flow more easily. Sugar has it benefits, other than its scrumptious flavor but people of today need to be more attentive to what is being consumed by their bodies. This is the 7th episode of “FC Underground, 2013-14” covering the day of Oct. 23, 2013. 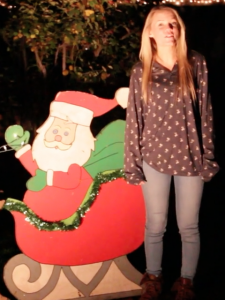 Junior Callista Fries is a second year host and broadcasts the video news alone. FC Underground is a weekly segment hosted by Fries, filmed and produced by Senior videographer Jared Franz. Today is the Queen Pageant starting at 12:10! If you are interested in Book Buddies get your papers and have them turned into the office this week. This is the 6th episode of “FC Underground, 2013-14” covering the day of Oct. 22, 2013. 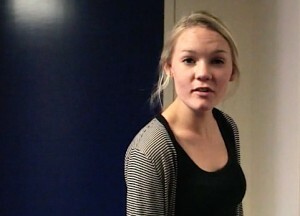 Junior Callista Fries is a second year host and broadcasts the video news alone. FC Underground is a weekly segment hosted by Fries, filmed and produced by Senior videographer Jared Franz. There is a HS Volleyball game today at Riverdale JV plays at 4:30 and Varsity plays at 6. This is the 34th episode of “FC Underground, 2012-13” covering the week of April 2-5, 2012. Sophomore Fries is a first year host and broadcasts the video news alone. 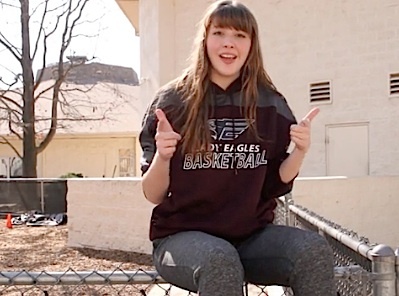 FC Underground is a weekly segment hosted by Callista Fries, filmed and produced by senior videographer Nathan Bender and edited by senior videographer Juan Ruelas. There is a HS Baseball game this Tues. April 2 at Firebaugh starting at 3:30 p.m. This Wed. April 3, from 3-4 p.m. there is CSF Tutoringin room 624. HS Track has a meet this Wed. April 3 at Fowler starting at 4 p.m.
Thurs. April 4, there is a HS Softball game starting at 3:30 p.m. in Firebaugh. Tim Tebow is coming to Fresno this Fri. April 5 at 6:30-9 p.m. The 2nd annual Career Fair is next Wed. April 10 starting at 12:30 p.m.
Saddle Up For Sadies. Buy your Sadie’s tickets now at lunch on the quad, they are $35 a ticket. For these and other events, read The Feather Online announcements at the Daily News on the right menu bar. The segments consist of news, interviews, profiles and comments on campus life. Each episode is between two and three minutes in length. “FC Underground” first ran in the fall of 1997 and continued until the spring of 2001. In the fall of 2009, editor-in-chief Suzanna Quiring, ’10, resumed the series, which was then produced by Paige Powell, ’10. After Quiring and Powell graduated, Brooke Stobbe and David Casuga took up the job until the end the 2011-’12 school year. Now, Fries and Ruelas have continued the segments. This is the 33nd episode of “FC Underground, 2012-13” covering the week of March 18-22, 2012. Sophomore Callista Fries is a first year host and broadcasts the video news alone. FC Underground is a weekly segment hosted by Fries, filmed and produced by senior videographer Nathan Bender and edited by senior videographer Juan Ruelas. HS Choir has a concert this Mon. March 18 at 7 p.m. in the G. L. Johnson chapel. HS golf has a match this Tues. March 19, at KIngs River beginning at 3:30 p.m. There is a Half Day this Wed. March 20. Softball has a game this Wed. March 20, at 3:30, on the home stadium. Spanish Club will meet this Fri. at lunch in room 604. This Fri. March 22, there is a Softball game at Kings Christian at 3:30 p.m.
Tim Tebow is coming to Fresno, April, 5 2013. Buy your tickets now at Ticketmaster.com/a>. The memorial service for Mr. Healy will be held at 2 p.m. at The Bridge Church, March 9. The burial services will be held at Clovis Cemetery at 11 a.m., March 11. The family wishes that all attendees bring a written memory of Mr. Healy, or a written way that he inspired each person. Flowers and donations can be sent to the EECU, P.O. Box 5242, Fresno, CA, 93755. Payable to “James Healy Memorial Fund, account number 11858921.” Funds will go towards his three children, Jessica, Josh and Jake. The school has provided a sign-up sheet to provide the family with 24-hour prayer throughout the week. Only the slots of 3 and 4 a.m. are still available. As Mr. Healy was an avid cyclist, a “Mr. Healy Memorial Ride” has been set up by FresnoBikeParty Team. The ride will be eight miles long so to include as many people as possible. Everyone is instructed to wear helmets, and those under 18 are requited by law to do so. The route is currently being re-done to provide a more safe and level ride for the many first-timers attending. Check the Facebook page for more information. The Feather regrets to inform its readers that on the morning of March 5, campus parent Jim Healy (55) passed away after a bicycle collision with a car in Fresno, CA. The accident occurred around 5:30 a.m., when Mr. Healy was hit by a vehicle while riding a bicycle in the Copper Ave. and Auberry Rd. area. He was then taken to Community Regional Medical Center, but despite efforts, the physicians were unable to save him. Mr. Healy was the head of the Technology Department at Sunnyside High School, where he is also a teacher. He graduated from California State University, Fresno, in 1986 and attended The Bridge Church in Fresno, CA. He is survived by his wife, Janine Healy, his daughter, campus senior, Jessica Healy, 18, and his two sons Josh Healy and Jake Healy. The Feather staff offers its condolences to the Healy family and all families affected in the accident. The Feather encourages readers to leave messages for the families through the comments section below. Principal Todd Bennett expresses the grief experienced for many campus students because of Mr. Healy’s connection with Jessica’s peers. The student body was presented the news during chapel at around 9:45 a.m. where the students were given the chance to pray for the Healy family and write notes and messages for the family to read later on. Bennett encourages those wishing to help to pray for the family and possibly take them meals, using a specific website to avoid conflicts. To help with meals visit takethemameal.com, using keyword Healy and password Healy, then click Janine Healy. Though slots are only available for a limited number, more slots will be opened later on. Currently no information is available about the services, but will be available in coming days. Check back later for updates and more information. For more information, read CBS47’s article, Cyclist killed Tuesday morning in Clovis. For more news, read the March 4 article, Kid’s Day encourages community to participate. This is the 29th episode of “FC Underground, 2012-13” covering the week of Feb. 19-22, 2012. Sophomore Callista Fries is a first year host and broadcasts the video news alone. FC Underground is a weekly segment hosted by Fries, filmed and produced by senior videographer Juan Ruelas. Friday: Stephan’s Burrito’s; provided by Spanish Club. Congratulations to the HS Girls soccer for qualifying for the Semi-final play off game, they will be playing at 3 p.m. in Hanford on Tues. Feb. 19. Brother to brother off campus lunch on Wed. Feb. 20. There will be CSF Tutoring this Wed. Feb. 20 after school in room 622 from 3-4 p.m. There is a Spanish Club meeting this Fri. Feb. 22 at lunch in room 606. Tim Tebow Coming to Fresno. Fresno Christian Schools and Break the Barriers have partnered to create an event that will inspire and energize the Fresno community ?The Inspire Gala ? featuring New York Jets Quarterback Tim Tebow, as the keynote speaker. When: Friday, April 5, 2013 from 6:30 p.m. ? 9:00 p.m.
Callista Fries is The Feather’s multimedia anchor. She hosts her weekly announcement video, FC Underground where she reports on each week’s activities. She also publishes a podcast each Friday on her channel Live from Callyfornia. After weeks of shadowing alumna Brooke Stobbe, ’12, a four-year podcaster, I thought I was ready to go. Sitting down to start writing out my script was both exciting and scary. After finishing, I was so proud of myself, I thought my podcast was great. Then I had my mentor proof read my podcast, and she changed more then what was written in the first place. Becoming a little discouraged. I began to think I was never going to figure this out, but I tried writing another podcast this time my mentor said it was great, she said it was almost perfect. So a year and a half ago, I thought I was ready to record for the first time, boy was I wrong. Starting to record my palms were sweaty, I was thirsty but felt ready. I came to the end of my podcast and I was feeling confident. My mentor said ?wow you did it all in one take,? I looked at her in shock, not aware I was able to pause while recording. So I began to edit my podcast, I could hear my voice shake, my lack of confidence and the quiet sound of my spit in the background. I then figured out a lot of new, helpful things not only by watching my mentor but also by experience. 1. When you are podcasting, one of the most important things is to speak clearly, enunciate, end all words strong and make sure to speak with punctuation. 2. In your podcast if you say something funny or make a joke, don?t be afraid to giggle during a sentence; it’s not a bad thing! 3. It is extremely important that you remember to speak very very slow. If you speed up it will not only shorten the length of your podcast but it will also be difficult to understand you. 4. Breathing is a big part of podcasting, if you forget to breathe or cut out your breaths while editing, it will sound unnatural or rushed. So make sure while speaking you breathe as though you are in a normal conversation. 5. Making mistakes is inevitable, so when you mess up do not freak out, just start the sentence over again, not just the word, the entire sentence. 6. When you are recording, make sure you are conversational, fluctuate your voice as you usually do in a normal conversation. 7. If you are in the middle of podcasting, and you get thirsty all of a sudden or you have to go to the bathroom, do not be afraid to stop and start again, you can pause and come back later and continue. 8. Before you begin to speak, make sure you have a plan or a script as to what you wish to say, if you are unprepared you will sounds unsure and you will stumble over words. 9. In your script, try your best to not use cliches, if you do use them, make sure it is only rarely, when you use them it makes you look like you did not care to look for other words to possibly use. 10. If you podcast on student life, like I do, make sure you relate it to more people than just yourself or just your close knit group of friends. Make it relatable to people in all circumstances, it will make people more interested in listening if they can actually get something out of it. 11. When finding someone to interview, pick a person who does not have a monotone voice and speaks with diction, someone who is passionate about the topic you want to talk about. 12. Interviewing someone should come natural, you should speak as though there is no microphone and it is just a normal conversation. These are guidelines by which I podcast, and it seems to work pretty well for me. I hope these tips help and are very useful to you in your future podcasting. For more opinions, read the Feb. 8 article, Fifth Quarter creates sanguine atmosphere, relaxation (PODCAST). This is the 27th episode of “FC Underground, 2012-13” covering the week of Feb. 4-8, 2012. Sophomore Callista Fries is a first year host and broadcasts the video news alone. FC Underground is a weekly segment hosted by Fries, filmed and produced by senior videographer Juan Ruelas. There is a Sister to Sister off campus lunch, Mon. Feb. 4. The HS boys soccer team plays Parlier at 3:30, and the HS girls soccer plays at 5:30 at Parlier, Mon. Feb. 4. Mon. Feb. 4 the HS boys basketball team will play at Parlier, starting at 6 p.m.
Tues. Feb. 5, the HS boys soccer team will play at home starting at 3:30, it is also Senior night, so be sure to be there. Varsity Basketball has a game Tues. Feb. 5, starting at 7 p.m.
HS Boys Baseball meeting this Wed. Feb. 6, at lunch in the athletic office. There is CSF tutoring after school from 3-4 p.m.
Fri. Feb. 8 there is a Spanish Club meeting at lunch in room 606. Wed. Feb. 6, the HS girls soccer play, at home starting at 3:30, Senior night. HS girls and boys soccer play Riverdale Fri. Feb. 8, girls starts at 3:30 and boys start at 5:50. The HS Boys Basketball and coaching staff would like to invite all boys K-8th to join them in a Basketball clinic starting Feb. 9, if you are interested, sign up in the office. Candy Grams are on sale now, in the HS office, there are $1 per gram, and they will be delivered on Valentines day. Night Of the Stars is approaching fast! Buy your tickets now in the HS office, NOTS is Feb. 16, it is $50 a person. This is the 26th episode of “FC Underground, 2012-13” covering the week of Jan 28-Feb. 1, 2012. Sophomore Callista Fries is a first year host and broadcasts the video news alone. FC Underground is a weekly segment hosted by Fries, filmed and produced by senior videographer Juan Ruelas. Spirit Wear Fridays are back! Any students who are interested in earning a special prize, be sure to wear your spirit wear on Fridays. There is a Brother to Brother off campus lunch one Jan. 28, be sure to sign out it the office. HS girls and boys soccer game Tues. Jan. 29 at Fowler HS, the girls game begins at 3:30 and the boys at 5:30 p.m. Varsity basketball will play Fowler on Tues. Jan 29, the game begins at 7:30. There is a Half Day Wed. Jan. 30. There is CSF Tutoring after school from 3-4p.m. in room 621. Wed. Jan. 30 is Super Bowl day, wear the apparel of the team you are routing for, the class who wears the most will get a prize at the end of the year. Thur. Jan. 31 there is a HS girls soccer game at home beginning at 3:30, against Caruthers HS. HS boys soccer have a home game Fri. Feb. 1 beginning at 3:30, they will be playing Caruthers. Varsity basketball has a game this Fri. Feb. 1 at home beginning at 3:30 p.m.
NOTS is coming up, Sat. Feb. 16 from 5:30-11p.m, tickets are on sale now, for $50 in the HS office. Sophomore Callista Fries is a first year host and broadcasts the video news with senior videographer Juan Ruelas. This is the 25th episode of “FC Underground, 2012-13” covering the week of Jan 22-25, 2012. 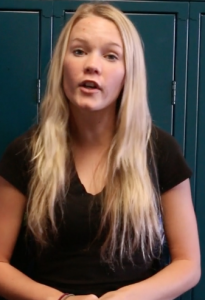 Sophomore Callista Fries is a first year host and broadcasts the video news alone. FC Underground is a weekly segment hosted by Fries, filmed and produced by senior videographer Juan Ruelas. FCS will be holding a fundraiser at the Chipotle in River park on Tues. Jan. 22 from 5-9 p.m. There is a HS boys soccer game at home against Riverdale starting at 3:30 on the stadium field, Tues. Jan. 22. Also on Jan. 22, there is a varsity boys basketball game at home in the FC gym starting at 7 p.m. If any HS students are interested in taking the ASVAB test, on Wed. Jan. 23, sign up in the HS office by Tues. Jan. 22. CSF has a meeting at lunch in room 624, on Wed. Jan. 23. CSF application is due Wed. Jan. 23 to the HS office with $5 and your transcripts. There is also a HS girls soccer game at home, Jan. 22, starting at 3:30 p.m..
Spanish club will have a meeting on Fri. Jan. 25 at lunch in room 602. NOTS is around the corner, Feb. 16. Tickets are on sale now for and early bird price of $45, in the HS office. 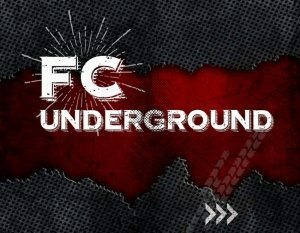 This is the 24rd episode of “FC Underground, 2012-13” covering the week of Jan 14-18, 2012. 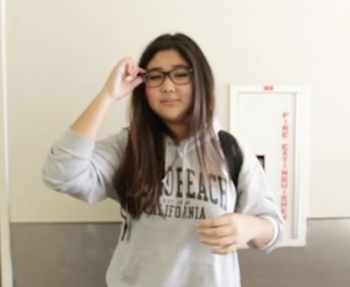 Sophomore Callista Fries is a first year host and broadcasts the video news alone. FC Underground is a weekly segment hosted by Fries, filmed by senior Nathan Bender and produced by freshman videographer Zack Lehman. There is a Brother to Brother potluck lunch on Mon. Jan. 14 in room 628 at lunch. Sister to Sister Training is Mon. Jan. 14 at lunch. There is CSF Tutoring on Wed. Jan. 16 in room 621 from 3-4 p.m.
All HS students who are interested in joining CSF for the spring semester, applications are available in the HS office and must be turned in with $5 and your transcripts by Wed. Jan. 23. All JH students who are interested in joining CJSF for the Spring semester must fill out an application and turn it in by Tues. Jan. 22 to the HS office. Night Of The Stars is around the corner, tickets go on sale for $50 on Tues. Jan 22.